Fairy House Mother-Bubbly brings Cheer! 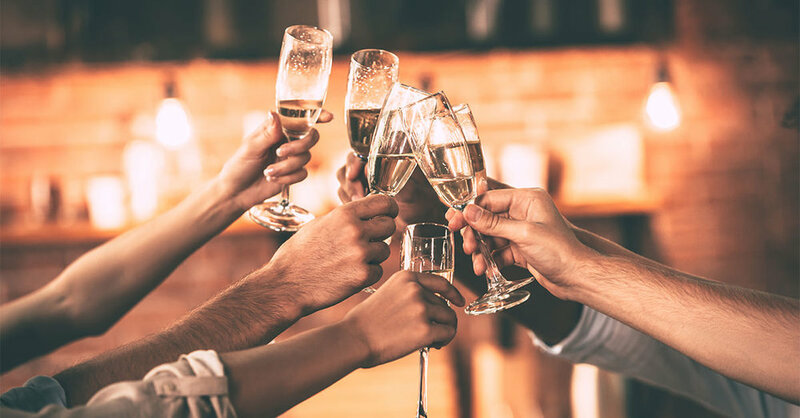 There’s something special about the bubbly… whether from the motherland or the new world, the sparkle of those gaseous bubbles can really get you in the mood to have a great time. There seems to be very little science, but quite a few theories as to why. A french-man once explained to me that the carbon dioxide inside those tiny bubbles actually allow the alcohol to be absorbed faster into the bloodstream. And that's why we can feel the effects of champagne after only a few sips. Makes sense, right? It's no surprise that sparkling wine sales skyrocket during the holidays, but it should not just be reserved for celebrating in flutes. Sparkling wine pairs incredibly well with food. Try it with your favorite hors d’oeuvres, cured meats and cheeses, shellfish of course, poultry, seafood, even steak, veggies of all kinds, fruit, dessert, pastries… breakfast... you name it. It's delicacy will complement lighter fair, while the combination of it's bright acidity and bubbles will balance heavier foods. Sparkling wine goes with just about everything! … do you have any favorites to add??? Comment below! A good bottle of bubbly goes a long way. Always say YES to sparkling!